As NASA’s Cassini spacecraft makes its unprecedented series of weekly dives between Saturn and its rings, scientists are finding—so far—that the planet’s magnetic field has no discernable tilt. This surprising observation, which means the true length of Saturn’s day is still unknown, is just one of several early insights from the final phase of Cassini’s mission, known as the Grand Finale. Cassini scientists are thrilled as well—and surprised in some cases—with the observations being made by the spacecraft in the finale. 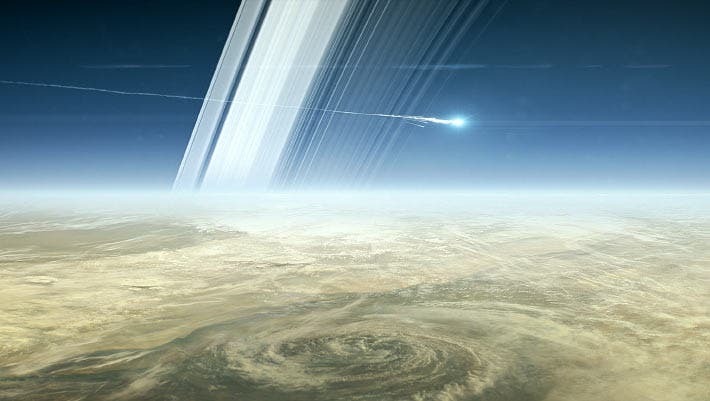 “The data we are seeing from Cassini’s Grand Finale are every bit as exciting as we hoped, although we are still deep in the process of working out what they are telling us about Saturn and its rings,” said Cassini Project Scientist Linda Spilker at JPL. Based on data collected by Cassini’s magnetometer instrument, Saturn’s magnetic field appears to be surprisingly well-aligned with the planet’s rotation axis. The tilt is much smaller than 0.06 degrees—which is the lower limit the spacecraft’s magnetometer data placed on the value prior to the start of the Grand Finale. The magnetometer data will also be evaluated in concert with Cassini’s measurements of Saturn’s gravity field collected during the Grand Finale. 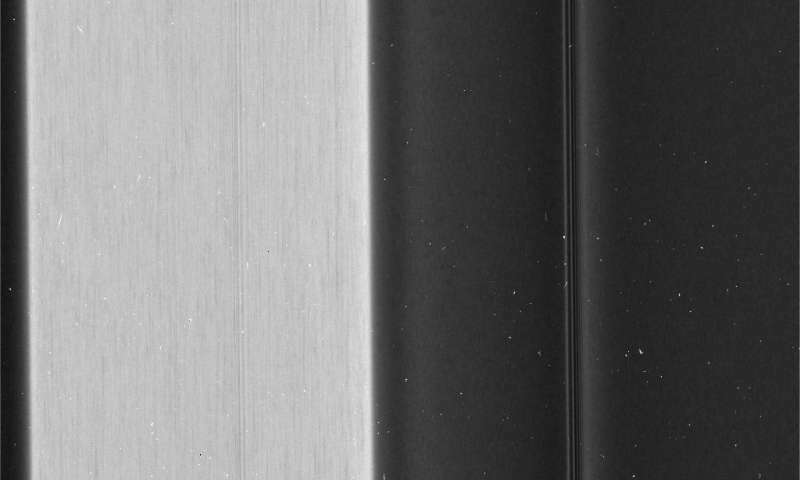 Not to be outdone, Cassini’s imaging cameras have been hard at work, returning some of the highest-resolution views of the rings and planet they have ever obtained. 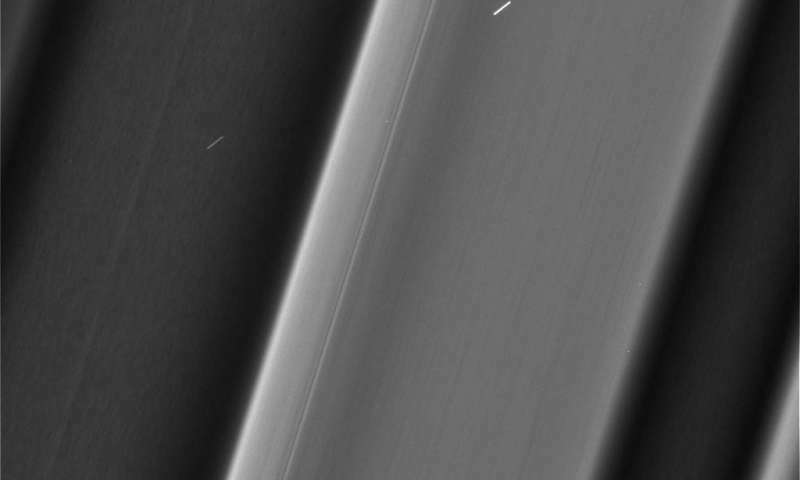 For example, close-up views of Saturn’s C ring—which features mysterious bright bands called plateaus—reveal surprisingly different textures in neighboring sections of the ring. The plateaus appear to have a streaky texture, whereas adjacent regions appear clumpy or have no obvious structure at all. Ring scientists believe the new level of detail may shed light on why the plateaus are there, and what is different about the particles in them.